World money is on everyone's mind especially collector's! 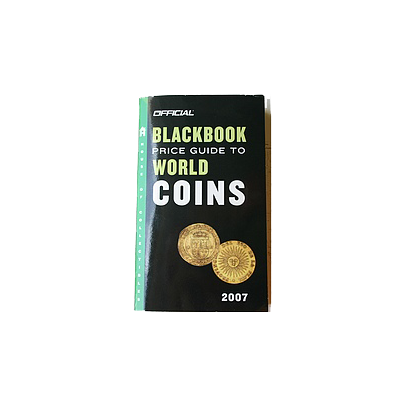 The Official ® Blackbook Price Guide to World Coins provides everything you need to know to build an exciting and profitable collection of world coins. Plus, this essential source gives you important information on how to buy, sell, and grade world coins; how to collect mint errors or oddball world coins; auction sales and prices of world coins over the past year; and international numismatic organizations and publications. With every country's coins listed, this is the perfect book to help you evaluate your own collection or to find new treasures. Exhaustive information on world coins minted by the U.S. Mints. An exclusive section on technology trends impacting world coin collectors. Hundreds of illustrations to help identify world coins quickly.